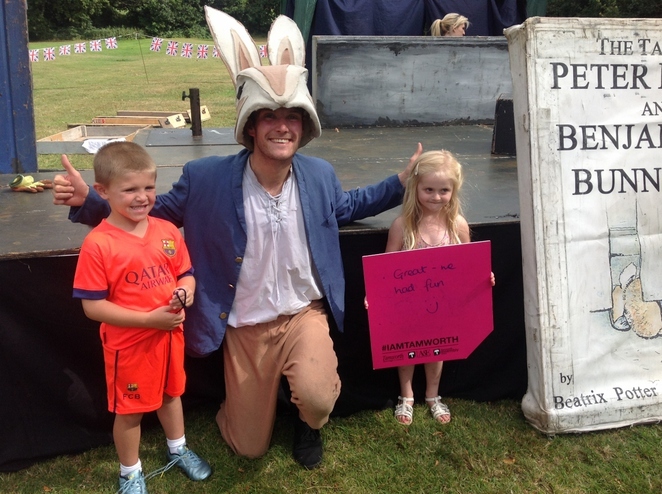 Hundreds of rabbit lovers turned out in force in a Tamworth park for a magical outdoor experience. Fun and adventure played out in the town's Dosthill Park on Sunday 16 August as people ventured from their homes to enjoy an open air performance of The Tales of Peter Rabbit and Benjamin Bunny. 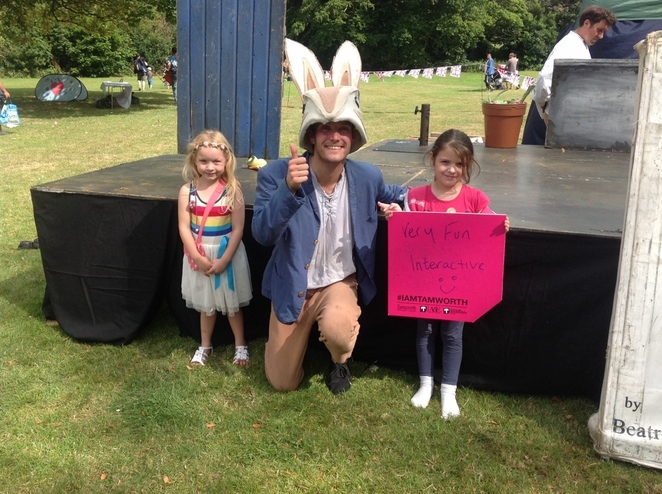 It was the first time that Dosthill Park had been used for outdoor theatre and the community setting proved to be a big hit with the audience who were eager to see Beatrix Potter's favourite characters. 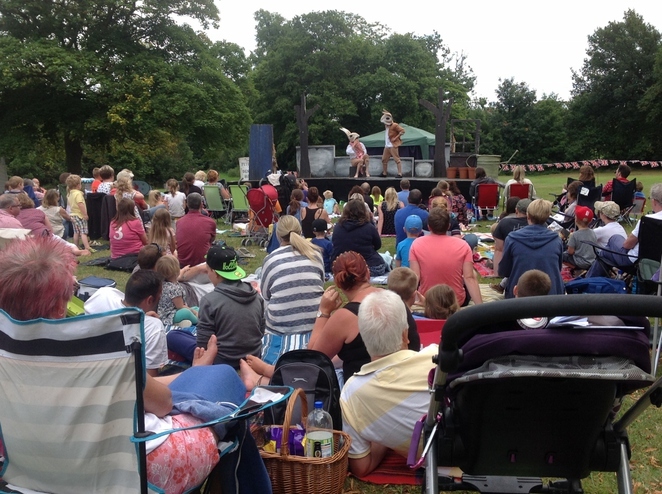 More than 300 people turned out to watch Quantum Theatre's enchanting and interactive production which followed the capers of Peter Rabbit and his friends as they embark on a daring adventure into Mr McGregor's garden. Many people chose to take blankets and picnics for a relaxing afternoon in the park. The event formed part of the 12-month I Am Tamworth project run by Tamworth Borough Council's Arts and Events team and funded by Arts Council England. The project aims to increase community participation in the arts.